Gain deep insights and easily evaluate company, project and customer profitability. 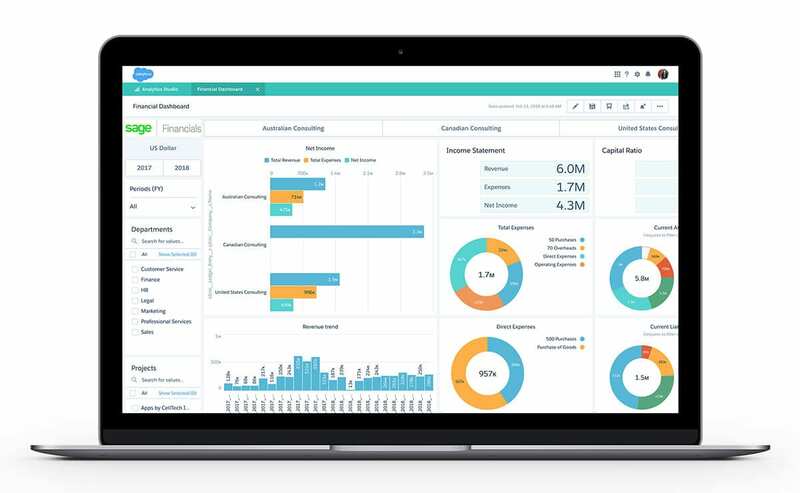 Uncover intelligence that allows you to ask meaningful questions and answer them through powerful, real-time reports and dashboards. Stay up-to date at all times with access to dashboards on your mobile device. No delays, no errors, and no more manually stitching together reports. You can gain financial certainty, speed up decision making and know where to focus your time. Gain actionable and real-time financial insights, spot new opportunities, boost collaboration and simplify complex processes. To keep your edge, you need to stay one step ahead of the competition. Having real-time, accurate and actionable insights into your business can help you to make quick decisions, respond to market trends, spot opportunities and give you financial confidence. Read our whitepaper 'You are what you measure' to see what mistakes you could be making, and how to transform into a metric-driven business.